SRMJEEE (PG): SRM Institute of Science and Technology has commenced the Application Process of SRMJEEE PG 2019 from 11 December 2018 in online mode. SRM Institute of Science & Technology (SRM University) conducts SRMJEEE (PG) 2019 for admission into M.Tech Programs. The Online Entrance Examination, SRMJEEE PG 2019 will be held on 25 & 26 May 2019 for all branches except Automotive Hybrid Systems Engineering. Aspirants will be invited for Counselling in the order of Merit on the basis of marks secured in SRMJEEE (PG). 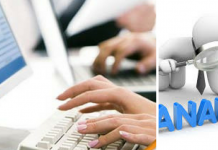 Provisional Allotment Letter (PAL) will be issued to confirm the candidate’s admission. How To Download Result SRMJEE PG 2019? 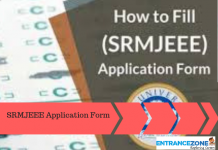 SRMJEEE PG application form 2019 has been released on 11 December 2018. Interested candidates are required to fill and submit the Application form along with the Application fee. Registration: Candidates must fill register themselves by entering basic details and at the end by creating a password. Fill Application Form: Candidates are required to enter their personal details, Residential address and qualification details. Upload Scanned Documents: Candidates must upload their recent passport size photograph and signature in the prescribed format. Nationality: Candidate must be a citizen of India. NRI, PIO and OCI card issued by Government of India are also eligible. Minimum Qualification: Candidate must have passed qualifying exam Recognised by SRM University with minimum 60%. Candidates who have qualified TANCET and GATE are also eligible. B.E/ B.Tech. in Civil/ Civil Infrastructure Engg./ Architectural Engg. Engineering/ Electrochemical Engg./ Petrochemical Engg. M.Sc in Food Science/ any branch of Life Sciences/ Home Science/ Nutrition & Dietetics. M.Sc in any branch of Life Sciences. B.E/ B.Tech. (Any Specialization), M.Sc (Physics/ Materials Science/ Chemistry/ Applied Chemistry/ Bio Chemistry/ Biotechnology) with mathematics as one of the subjects at B.Sc level. Mathematics will be a compulsory section for all courses except Bio-Technology and Food Processing. Registered candidates will be able to book the slots tentatively from April 2019. Slot booking procedure is done on First come First serve basis. Log in to official website by using ‘Application no.’ and ‘Date Of Birth’. Online Test dates and centres will be displayed on the screen. Select slot according to the availability. Once the slots are successfully booked, candidates will be able to download the Admit card of SRMJEE PG 2019. Hall ticket is the most important document to carry inside the examination hall, without hall ticket candidates will not be allowed to sit for the Entrance Test. Results will be announced in the first week of June 2019. Qualified candidates will be called for the counselling session. Login to the portal using Application no. and Date of Birth. Check the details and download the result. Counselling session for SRMJEEE PG will be tentatively held in the second week of June 2019. Seats will be allotted to candidates on the basis of rank scored by them in the Entrance Examination. Shortlisted candidates will have to register themselves for participating in SRMJEEE 2019 counselling. Candidates have to download their counselling call letter and bring to the counselling venue along with the required document for verification. Verification of documents will be done only after the admission fee payment through DD in favour of SRMIST payable at Chennai. 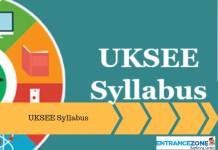 Syllabus Click Here to Download Syllabus for M.Tech except for Automotive Hybrid Systems Engg. Apply for SRMJEEE PG via SRM official Website. On the basis of marks secured in SRMJEEE (PG), Candidates will be invited for a counselling session. Candidates can choose their preferred specialisation/branch of study in a particular campus based on fulfilling the programme-specific eligibility criteria and subject to the availability of seats at that point of time. Students need to pay the tuition fee and other applicable fees at the time of counselling along with the selection of specialisation/branch. For confirming the candidate’s admission, Provisional Allotment Letter (PAL) will be issued. 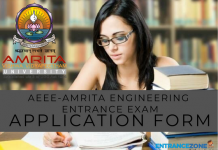 Admission is done through an Entrance examination, subject to fulfilling the requirement of minimum marks in the qualifying examination as well. M.Tech Automotive Hybrid Systems Engineering GATE Score and/or work experience in a related area is preferred.